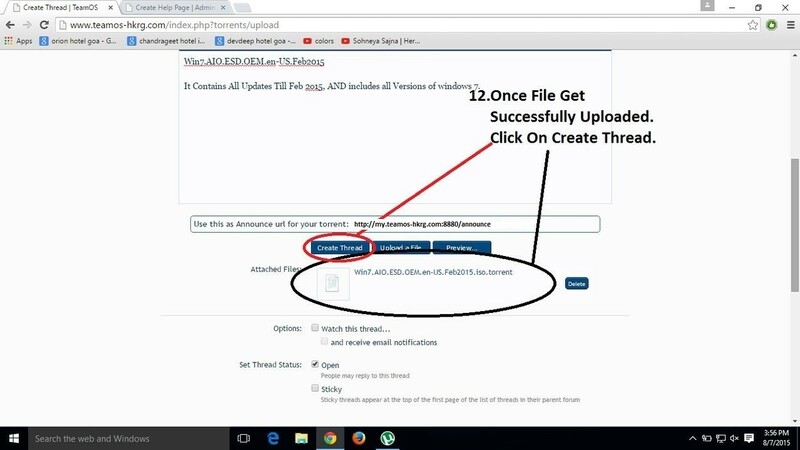 Tutorials - [Tutorial] Uploading Torrent In TeamOS | Team OS : Your Only Destination To Custom OS !! Step 11:Succesfully added New Tracker and Torrent Starts Seeding . 2. Be Sure To Tick Private Torrent Box while Creating Torrent. 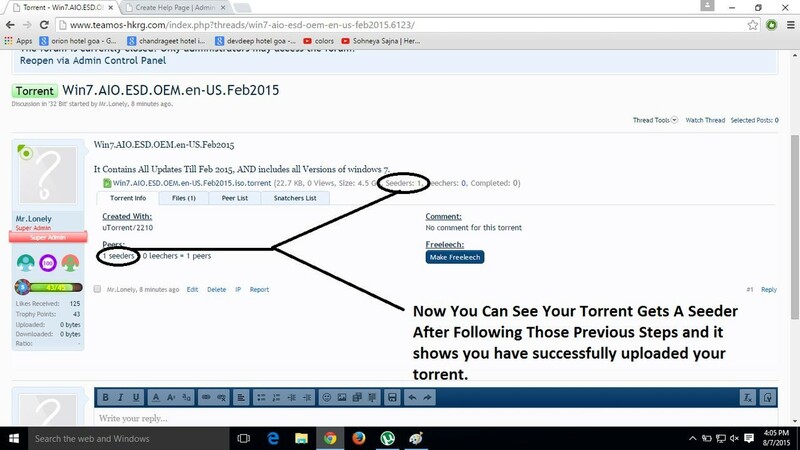 Thank you for posting this tutorial, Mr. Lonely; as I was wondering what all the steps were to upload a torrent here was. Very clear and comprehensive! These simple guides help us very much...!! thank you Mr.Lonely for this tutorial. Very good explanation! I wish there were more graphic tutorials for other stuff, I would certainly learn more things! Mr.Lonely, could you advise me how to reseed torrents that I´ve downloaded, but after fresh Windows install can´t get them to work. I have tried to run the torrent file in Utorrent, it gets checked, starts uploading, but my ratio stays the same? This is an Official Tutorial About Uploading. so we don't allow greetings & opinions + questions because this the only way you might upload here. No question for any question. Read FAQ to get more! @Mr.Lonely All 13 images have been edited and re-uploaded. 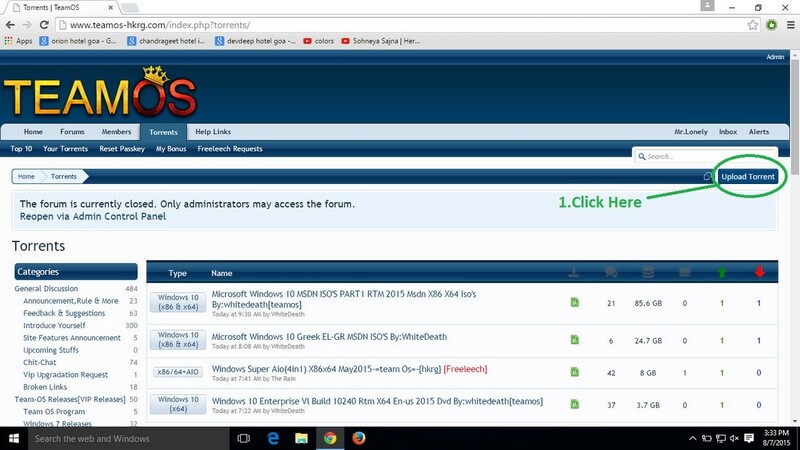 The old Tracker url has been edited out of all images and replaced with current url tracker as you can see..
Thats all and Lookimg was used, too.. I used your images only again..
@TheMacGyver , Nice work buddy. @Mr.Lonely Just finished editing the tracker url in 8 images ..